In this wild, stormy countryside, Lockwood asks his housekeeper, Nelly Dean, to tell him the story of Heathcliff and the strange denizens of Wuthering Heights. 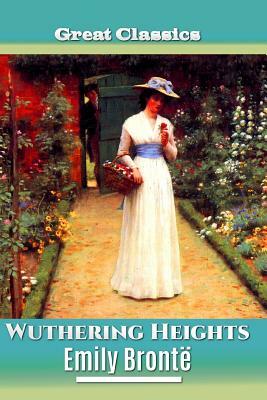 Nelly consents, and Lockwood writes down his recollections of her tale in his diary; these written recollections form the main part of Wuthering Heights. Thirty years earlier, the owner of Wuthering Heights is Mr Earnshaw, who lives with his teenage son Hindley and his daughter Catherine. On a trip to Liverpool Earnshaw encounters a homeless boy, described as a "dark-skinned gypsy in aspect." He adopts the boy and names him Heathcliff. Hindley feels that Heathcliff has supplanted him in his father's affections and becomes bitterly jealous. Catherine and Heathcliff become friends, and spend hours each day playing on the moors. They grow close. Mr. Earnshaw grows to prefer Heathcliff to his own son, and when Hindley continues his cruelty to Heathcliff, Mr. Earnshaw sends Hindley away to college, keeping Heathcliff nearby. Three years later Earnshaw dies and Hindley becomes the landowner; he is now master of Wuthering Heights. He returns to live there with his new wife, Frances. He allows Heathcliff to stay but only as a servant. - Hindley begins his slide into alcoholism. - Catherine becomes engaged to Edgar Linton and Heathcliff leaving Wuthering Heights. - Heathcliff and Isabella elope; Catherine becomes ill with brain fever and young Catherine is born late in the year; Catherine dies. - Hindley's death and Heathcliff inheriting Wuthering Heights. - Heathcliff dies and Lockwood learns that Hareton and Cathy plan to marry on New Year's Day. As he gets ready to leave, he passes the graves of Catherine, Edgar and Heathcliff, and pauses to contemplate the quiet of the moors. The story of Wuthering Heights is told through flashbacks recorded in diary entries, and events are often presented out of chronological order-Lockwood's narrative takes place after Nelly's narrative, for instance, but is interspersed with Nelly's story in his journal. Nevertheless, the novel contains enough clues to enable an approximate reconstruction of its chronology, which was elaborately designed by Emily Bront . One of the great classics that has been widely read by many, many people all over the world. Scroll Up and Get Your Copy Titbits: Emily Jane Bront (30 July 1818 - 19 December 1848) was an English novelist and poet who is best known for her only novel, Wuthering Heights, now considered a classic of English literature. Emily Bront never knew the extent of fame she achieved with her one and only novel, Wuthering Heights, as she died a year after its publication, aged 30. Northanger Abbey by Jane Austen https: //www.createspace.com/6428537. Emily Jane Bronte (30 July 1818 - 19 December 1848) was an English novelist and poet who is best known for her only novel, Wuthering Heights, now considered a classic of English literature. Emily was the third eldest of the four surviving Bronte siblings, between the youngest Anne and her brother Branwell. She wrote under the pen name Ellis Bell. Emily Bronte was born on 30 July 1818 in the village of Thornton, West Riding of Yorkshire, in Northern England, to Maria Branwell and an Irish father, Patrick Bronte. She was the younger sister of Charlotte Bronte and the fifth of six children, though the two oldest girls, Maria and Elizabeth, died in childhood.In 1820, shortly after the birth of Emily's younger sister Anne, the family moved eight miles away to Haworth, where Patrick was employed as perpetual curate; here the children developed their literary talents. After the death of their mother on 15 September 1821 from cancer, when Emily was three years old, the older sisters Maria, Elizabeth and Charlotte were sent to the Clergy Daughters' School at Cowan Bridge, where they encountered abuse and privations later described by Charlotte in Jane Eyre. At the age of six on 25 November 1824, Emily joined her sisters at school for a brief period. When a typhoid epidemic swept the school, Maria and Elizabeth caught it. Maria, who may actually have had tuberculosis, was sent home, where she died. Emily was subsequently removed from the school, in June 1825, along with Charlotte and Elizabeth. Elizabeth died soon after their return home. Emily Bronte remains a mysterious figure and a challenge to biographers because information about her is sparse, due to her solitary and reclusive nature. She does not seem to have made any friends outside her family. Emily Bronte's Wuthering Heights was first published in London in 1847, appearing as the first two volumes of a three-volume set that included Anne Bronte's Agnes Grey. The authors were printed as being Ellis and Acton Bell; Emily's real name did not appear until 1850, when it was printed on the title page of an edited commercial edition. The novel's innovative structure somewhat puzzled critics. Emily Bronte never knew the extent of fame she achieved with her one and only novel, Wuthering Heights, as she died a year after its publication, aged 30.